In 2001, darts was finally granted equality when a ladies World Professional Championships was introduced, and to be played at the sports most famous temple, the Lakeside. The first tournament featured four ladies, two directly invited and two qualifiers. One year later the field expands to eight ladies and since 2014 sixteen ladies compete for the title. The first seven years the same lady, Trina Gulliver rules with an iron fist on the Lakeside stage, as she remains unbeaten in all those years. On five occasions Trina beats her greatest rival, Francis Hoenselaar of the Netherlands, in the final. In 2008 however a new champion is crowned; Russia's Anastasia Dobromyslova beats Gulliver in the final and is the new champion. Hoenselaar follows this example in 2009 when she finally beats her rival Gulliver in the final and is crowned the 2009 Champion. In 2010, 2011 and 2016 Gulliver wins another three titles making her total of titles at this moment a staggering ten. Dobromyslova returns to Lakeside in 2012 after a short stint with the PDC and reclaims her title at her first attempt. A year later she retains the title. Since 2014 it is Lisa Ashton who claims the four three times. In 2019, Mikuru Suzuki wins the title as a qualifier. 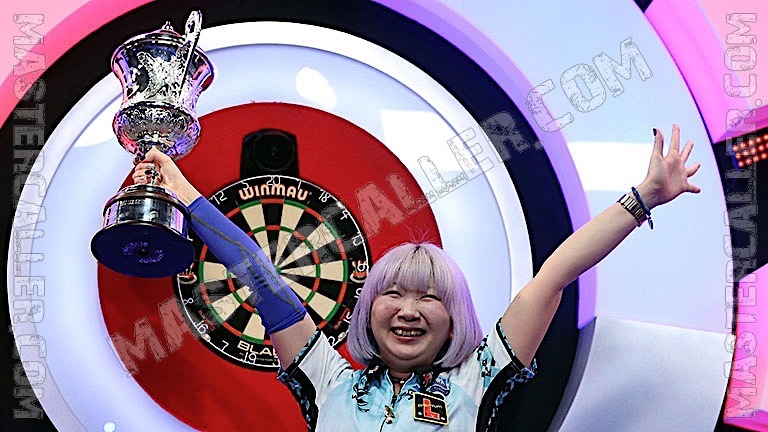 She is the first Asian winner of the Lakeside. Deta Hedman has been in three finals, but her name still eludes from the trophy.